Sodom‘s new album, 'In War And Pieces' will be released via SPV/Steamhammer on November 23rd. It was produced by Grip Inc. guitarist Wade Sorychta. 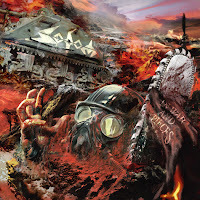 The cover art was done by Eliran Kantor, who is responsible for great cover art such as Testament‘s The Formation Of Damnation as well as album covers for recent releases by The Crinn (Dreaming Saturn), Gwar (Lust In Space) and Anacrusis‘ re-recordings called Hindsight: Suffering Hour And Reason Revisited. 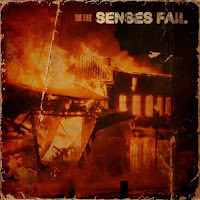 Senses Fail is ready to unleash their new effort (their fourth studio release)'The Fire' on October 26. 'The Fire' will be the first album with guitarist Zack Roach, who replaced Heath Saraceno. 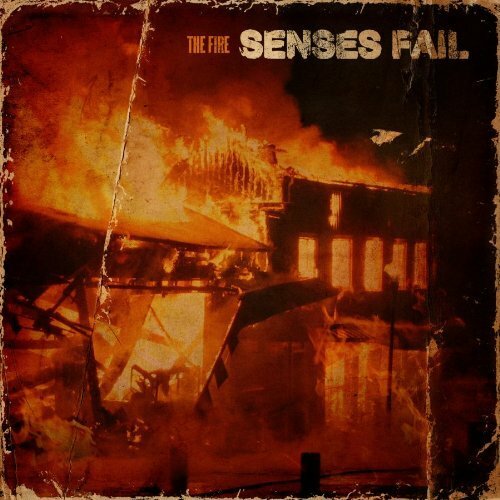 As Senses Fail is known for its strong riffing and solos, this may have a noticeable effect, although, “The Fire” and “Saint Anthony” both sound like classic Senses Fail. Singer Buddy Nielsen has said The Fire will be a passionate, creative album. The Fire “is a reaction and a release of a whirlwind of emotions that came from fighting for what we love and dealing with change and growth both personally and creatively,” Nielsen said. Bon Jovi and Alice Cooper have been nominated for induction into the Rock and Roll Hall of Fame. Donovan, Neil Diamond and Dr John are among the other first-timers in contention for the prestigious roll of honor. Previous nominees LL Cool J, Donna Summer, Tom Waits and The Beastie Boys are also up for induction next year. Acts become eligible for inclusion to the Rock and Roll Hall of Fame twenty-five years after the release of their first recording. The final list of inductees will be announced in December, while the ceremony is scheduled to take place in New York next year. Five of the fifteen artists will be inducted based on the votes of over 500 industry members over the next couple of months. The announcement will be made later in the year. "On behalf of Dennis (Dunaway), Neal (Smith), Michael (Bruce) and the late great Glen (Buxton), we are honored to be nominated for induction in to the Hall. Anytime you are nominated in your chosen profession, it's definitely a compliment to be recognized. "It's hard to fathom possibly being in the same club as artists who inspired us originally, like THE BEATLES, THE [ROLLING] STONES, THE BEACH BOYS, THE WHO, THE YARDBIRDS, and Chuck Berry, and to be nominated the same year as legendary artists like my personal favorite songwriter of all time, Laura Nyro, as well as Donovan, who sang on our 'Billion Dollar Babies' record, and our good friends in Bon Jovi, is a great feeling. "Five guys starting a band, just hoping to meet girls and drink free beer, rehearsing and playing local bars five hours a night for the first few years — that was us. We came up with the theatrics and made every effort not to sacrifice the music one bit; we thought it was like our job to bring theatrics to rock 'n' roll. And then, amazingly enough, we were having a bunch of massive hit records which was proof that theatricality and rock 'n' roll could, in fact, be joined successfully. We've been told that we revolutionized the live concert experience and if that's truly the case and it's led to this nomination for induction into the Hall of Fame, the only thing to say is, of course, 'There's no business like show business!'" Nick Nicholas - Steppenwolf (1943) His was fired from the band in ’70 for a number of reasons including playing a Fillmore East gig wearing only bunny ears and a jock strap. Original Iron Butterfly guitarist Danny Weis was born in Huntington Park, CA in 1948. A founding member of the seminal 60's group, he left the group after their debut album, 'Heavy,' was recorded. In 1968, American radio DJ Dewey Phillips died of heart failure (age 42). He was one of rock 'n' roll's pioneering disk jockeys. In July 1954, he was the first DJ to play the young Elvis Presley's debut record, "That's All Right/Blue Moon Of Kentucky." Born on this day in 1902, Ed Sullivan, TV host, The Ed Sullivan Singers and Orchestra. Introduced The Beatles and other UK acts to America via his Ed Sullivan TV show (see below). The Beatles appearance on February 9th 1964 is considered a milestone in American pop culture; the broadcast drew an estimated 73 million viewers. Sullivan died on October 13, 1974. Jazz trumpeter, bandleader, and composer Miles Davis died of a stroke and pneumonia in 1991. His 1959 album 'Kind of Blue,' is a major influence on jazz music. Davis is considered one of the most influential musicians of the 20th century. Adam Goldstein (DJ AM. ), club DJ and musician, died of an accidental drug overdose at home in New York City in 2009 (age 36). Had worked with Blink 182, Crazy Town, Madonna. Goldstein had surrived a plane crash along with Blink 182 drummer Travis Barker in September 2008. Lucy Vodden, the woman who inspired the Beatles' ‘67 classic "Lucy In The Sky With Diamonds," died in 2009 after a long battle with lupus. Vodden, 46, was a nursery-school classmate of John Lennon's eldest son, Julian. 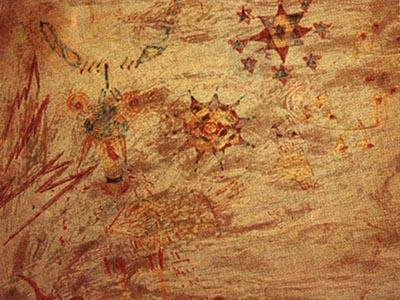 One day, Julian brought home a drawing he made of her and showed it to his father, saying it was a picture of his friend "Lucy In The Sky With Diamonds." O'Donnell, in a BBC radio interview in 2007, said, "I remember Julian and I both doing pictures on a double-sided easel, throwing paint at each other, much to the horror of the classroom attendant... Julian had painted a picture and on that particular day his father turned up with the chauffeur to pick him up from school." "To Know Him Is To Love Him" by the Teddy Bears was released in 1958. The song was written and composed by 18-year old Phil Spector. The Beatles performed a lunchtime show at the Cavern Club, Liverpool in 1962. That night they performed aboard the vessel MV Royal Iris on the River Mersey. The Beatles' third and final "Riverboat Shuffle". In 1963 - "She Loves You" by the Beatles was played on the radio by Murry The K (often referred to as the fifth Beatle) in New York. It is believed that this was the first time a Beatles song was played in the US and certainly changed the music world as we knew it (for the better, I may add). "The Freewheelin` Bob Dylan," his second album, was released in 1963. Connie Steven's TV show called "Wendy And Me" (with George Burns), premiered in 1964 (it lasted just the one season). The Beatles started a nine week run at #1 on the US singles chart in 1968 with "Hey Jude." 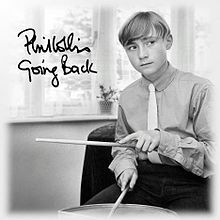 The Paul McCartney song written about Lennon's son Julian gave the group their 16th US #1 and the biggest selling single of 1968. The Rascals went to #1 on the US album chart in 1968 with 'Time Peace / The Rascals' Greatest Hits.' Also, Moody Blues "Days Of Future Past" hits the album chart. Bruce Springsteen and a local folk rock group The Founders appeared at the Off Broad Street Coffee House in Red Bank, New Jersey in 1968. John Lennon recorded his blistering and confessional cut "Cold Turkey" in 1969. He had a pretty impressive backing band - guitarist Eric Clapton, fellow Beatle Ringo Starr on drums and Manfred Mann bassist (and friend from The Beatles Hamburg days) Klaus Voorman. Yoko is in there as well. Lennon originally presented the song his fellow Beatles for inclusion on 'Abbey Road' but they passed on it. Eric Burdon provides the talking/singing ad-libs and War serves up the groove for "Spill The Wine." It went gold in 1970. David Bowie sold out New York's Carnegie Hall in 1972. It was his first sell out in the US. The Rolling Stones appeared on US television for the first time in six years when they played on ABC-TV's "In Concert" in 1973. Bad Company went to #1 on the US album chart in 1974 with their self-titled debut album. Paul Rodgers and Simon Kirke had come out of Free, while Mick Ralphs had played guitar with Mott the Hoople and Boz Burrell was bass player for King Crimson before the group formed in 1973. They produced six albums together before disbanding in 1983. Canadian singer Andy Kim went to #1 on the US singles chart in 1974 with "Rock Me Gently," ( Kim was also the co-writer of The Archies "Sugar Sugar"). Jerry Garcia and Friends and Jefferson Starship gave a free show to 40,000 fans in San Francisco's Lindley Park in 1975. In 1976, A&M Records sued George Harrison for $6 million over non-delivery of a new album ('33 1/3' )after he missed the deadline by two months. David Bowie taped a duet with Bing Crosby for Crosby’s Christmas special in 1977. Using the term “duet” may be a little misleading as Bowie and Crosby sing “Little Drummer Boy” and “Peace On Earth” separately-simultaneously. In 1987, U2 played the first of two nights at Madison Square Garden in New York City during their Joshua Tree world tour. Gladys Knight and Smokey Robinson were guests on the television show "$10,000 Pyramid" in 1987. "Tales From Margaritaville" (go figure) was published by Jimmy Buffet in 1989. It was a book of short stories. In 1991, Garth Brooks went to #1 on the US album chart with 'Ropin' The Wind.' The album spent a total of eighteen weeks at the #1 position and 70 weeks on the chart, selling over 11m copies. It was also the first country album to debut at #1 on the Billboard pop chart. In 1991, Guns N' Roses released 2 albums 'Use Your Illusion I' and 'Use Your Illusion II' which debut at number 1 and number 2 on the UK album chart. Both albums make #1 & #2 in the US as well. On the week of their album ‘Nevermind’ being released, Nirvana made an appearance at the Tower Records store in New York City in 1991 and then played a show at The Marquee Club in New York. Their anthem, "Smell’s Like Teen Spirit," had also entered the US Top 20 this week. In 2002, Madonna was voted the greatest female singer of all-time by 75,0000 music fans in a VH1 poll. But critics and music fans were unhappy with the position of Kylie Minogue who was voted into second place beating Diana Ross, (12th) and Annie Lennox, (14th). Tina Turner's hometown, made famous in her song "Nutbush City Limits," named a stretch of State Highway 19 the ‘Tina Turner Highway' in 2002. Turner lived in Nutbush, a small town about 50 miles northeast of Memphis, until she was 17. In 2004, producer Phil Spector was charged with the murder of actress Lana Clarkson in an unsealed indictment. Spector was in attendance at a Los Angeles court as the indictment about the slaying of 40-year-old Clarkson was read. He remained free on $1 million bail. In Beverly Hills, CA, a tribute concert to honor Ray Charles in 2004 raised $15 million for Morehouse College Center for the Arts in Atlanta. The performers included Bill Cosby as the host, Stevie Wonder, Travis Tritt, Michael McDonald (Doobie Brothers), James Ingram and Patti Austin. They sang Charles' hits, such as "Georgia On My Mind," "What I'd Say" and "Hit the Road Jack." Charles had died of acute liver disease on June 10, 2004. Cream`s "Disraeli Gears," which features “Sunshine of Your Love,” “Strange Brew,” and “Tales of Brave Ulysses” was reissued as a two-CD package in 2004. 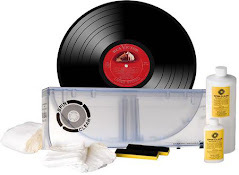 This deluxe edition contains a 24-page booklet, demos, songs that didn`t make the album and live BBC performances. The original album was released in `67. In 2004, Mick Fleetwood issued his third solo album, “Something Big,” with guest appearances by Jackson Browne, Fleetwood Mac bassist John McVie and former Mac guitarist Jeremy Spencer. In 2005, PBS ran a documentary called 'Get Up, Stand Up: The Story of Pop and Protest.' Nirvana, Jimi Hendrix, the Beastie Boys, Rage Against The Machine and U2 are among the artists who appear as the film explored the use of popular music as an instrument for political change. Also in 2005, Disturbed's third album, "Ten Thousand Fists," tops the Billboard 200 chart after selling 238,000 copies during its first week of release. Bon Jovi's "Have a Nice Day" lands at #2 with 202,000 units sold. Audioslave guitarist Tom Morello was one of 400 people arrested in 2006 for unlawful assembly, blocking the main entrance road to the Los Angeles International Airport. The protest takes place during a march to raise awareness about the rights of immigrant hotel workers. "This [historically] is how things have changed . . . by people on the lower rungs of society standing up," says Morello. He was released from police custody the next morning. Right on...! Bruce Springsteen and the E Street Band performed on NBC's Today Show in 2007 to promote their 'Magic album. In 2007, The John Lennon Northern Lights Festival was held in Durness, Scotland, the most northwesterly and remote village on mainland Britain. Lennon spent his childhood holidays between the ages of nine and 13 in the village and returned with his son Julian, Yoko Ono and her daughter Kyoko in 1969. Also in 2007, an ad for P Diddy's Unforgivable Woman perfume range, featuring a lingerie-clad model cavorting with the rapper in a New York hotel stairwell, was shown on Channel 4 in the UK. The ad had been banned in the US by the Federal Communications Commission, for being too sexually explicit for US audiences. 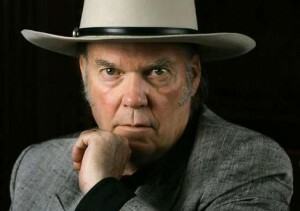 Neil Young’s “Le Noise” is released in 2010. 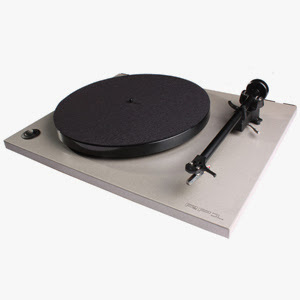 Young and producer Daniel Lanois recorded the album in an L.A. mansion earlier in the year. "We cut a couple of solo acoustic songs, but the rest is very electric," says Lanois "There's no band, but I got in there with my sonics. There's nothing else out there like it."